It can be difficult for science teachers to motivate their students. A new MOOC wants to change that by exploring real-world examples. There is no doubt that STEM subjects (Science, Technology, Engineering and Mathematics) are important for the successful development of societies. However, being a STEM teacher can be a difficult job. If students do not appreciate the relevance of scientific insights for their everyday lives, they can quickly become indifferent. 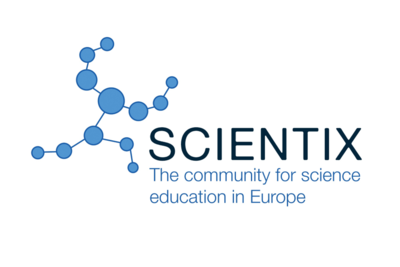 Scientix is an EU-funded project promoting science education. They have now created a free MOOC course to help science teachers in their daily effort to motivate students. Their solution is simple: Connecting STEM subjects with real-world applications. We have interviewed Borbala Pocze, who is one of the instructors of the new course. How Can Teachers Motivate Students for Science? Edukatico: Dear Borbala, please explain briefly what the goal of your new MOOC is. Borbala Pocze: The new course aims to connect STEM teaching with “real life”. The lack of connection between real life and science classes might cause students to rule out STEM careers, because they might judge it too “academic” or “research-oriented”. Teachers often encounter this issue when they aim to motivate their students or direct them towards careers in this field. The MOOC course will offer a selection of classroom activities and resources to empower primary and secondary teachers to connect their STEM lessons to “real life”. Moreover, it will offer participants the opportunity to create a STEM lesson plan that includes real-world problems and is ready to be implemented in class. "Show the Connection Between STEM and the Real World"
Edukatico: So could you give us an example of a real-world problem that can be integrated in STEM lessons? Borbala Pocze: There are many examples out there, from everyday situations such as riding a bike to more complicated processes, such as air traffic control. For example, the traffic of planes can be connected to vectors, which is a topic in the national Math curriculum in most countries. We developed the course together with seven STEM teachers to ensure that the MOOC features activities that not only have good quality but also relevance to today’s students. The aim is to show the connection between STEM and the real world and shine a light on the fact that STEM is truly everywhere. Edukatico: So who is the key target audience for your MOOC? Borbala Pocze: Primary and secondary school teachers, and teacher trainers from Europe and beyond. Edukatico: And what's the role of Scientix and the European Schoolnet? Will you offer more MOOCs in the future? Borbala Pocze: Scientix promotes and supports a Europe-wide collaboration among STEM teachers, education researchers, policymakers and other STEM education professionals. While this new MOOC is indeed the very first one that is organized and carried out entirely under Scientix, the European Schoolnet Academy (a network of 30 ministries of education) continuously offers new MOOCs with different topics, some STEM-related. Edukatico: Thank you for this overview and all the best for the start of your MOOC! The new MOOC for STEM teachers starts on October 29th and runs for approximately 5 weeks. The instructors estimate that the required workload will be 2-3 hours per week. The course is free and will remain open for learners after its initial phase. More than 20.000 students have already registered for courses offered by the European Schoolnet Academy. What's notable is that the completion rate for these courses has been 46% (completed vs. started), thus being considerably higher than the average for MOOCs. Our independent course directory lists 8,000+ video-based online courses from 22 subject areas and more than 50 providers. In the area of pedagogy and educational science, there are approximately 200 courses for teachers and educators to choose from.